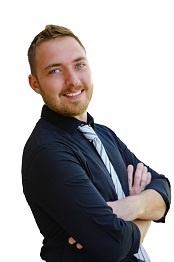 Aric David is a fulltime Real Estate Advisors who is ready to assist you. With two offices, located in Blue Springs and Lee’s Summit we can provide our buyers with a great coverage area and excellent exposure for our sellers. Using this site you will be able to view homes in Blue Springs, Lee’s Summit, Kansas City and surrounding areas. We specialize in creating experiences that are relationship based. We listen to your wants and your needs to create custom searches when buying or to plan accordingly when selling.